Both the Arctic and Antarctica offer incredible wildlife, fascinating history and a dazzling backdrop of mountains, glaciers and icebergs. But do you want a frozen ocean or an icy continent; polar bears or penguins; Inuit culture or polar heroes? Once you’ve decided between north or south, you can narrow down your choice further – read on, or talk to our polar specialists for detailed advice. 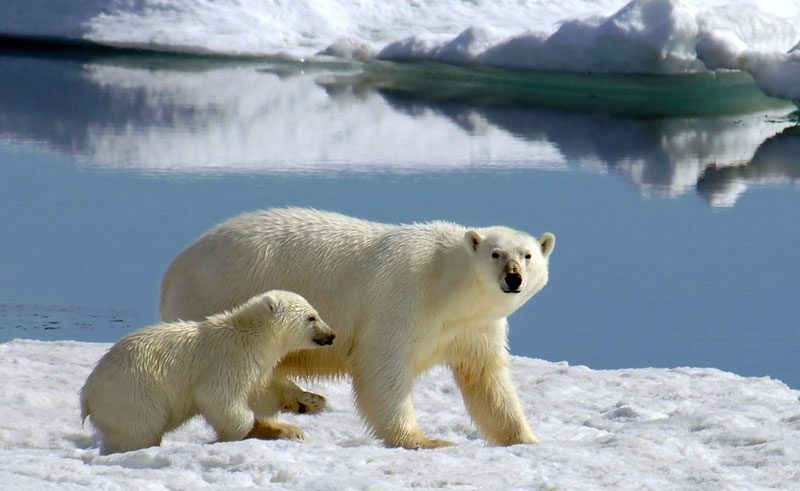 In the Arctic consider Spitsbergen for abundant wildlife and mountainous scenery, head to Greenland for icebergs and Inuits, or explore the Canadian Arctic for a wealth of polar history and indigenous culture. Heading south the Antarctic Peninsula is the ideal destination for first timers, combining spectacular scenery with penguins galore. 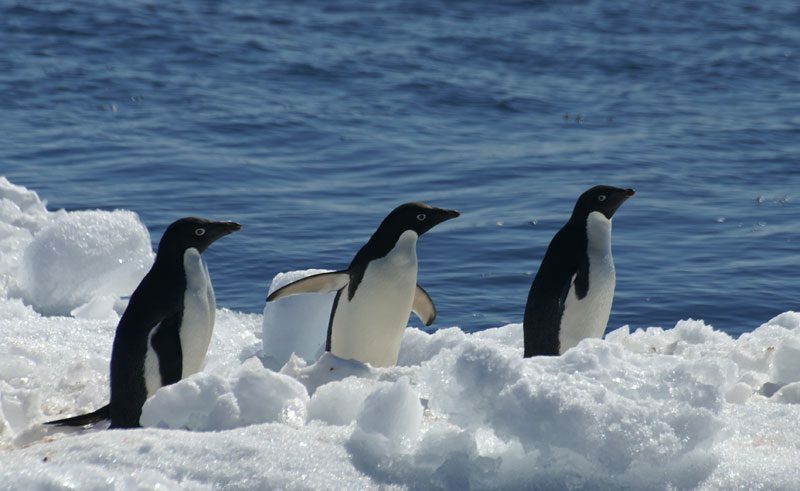 A longer voyage can also take in the remote, wildlife-rich islands of the Falklands and South Georgia, or head further afield to follow in the footsteps of legendary polar explorers at the Ross Ice Shelf. 2. When can you travel? 3. Why cruise, and which is the right ship for you? Accommodation options are scarce in the polar regions, but travelling by ship allows you to reach otherwise inaccessible areas with the advantage of a warm and comfortable base to return to at the end of the day. Moving on each day means you will explore a wider variety of landscapes and increase your chances of wildlife encounters. Price, duration and travel dates may influence your choice of ship, but each of our ships carries under 200 passengers and in some cases as few as only 53. Travelling on small ships maximises your time ashore and makes for a much more intimate immersion in the polar regions. 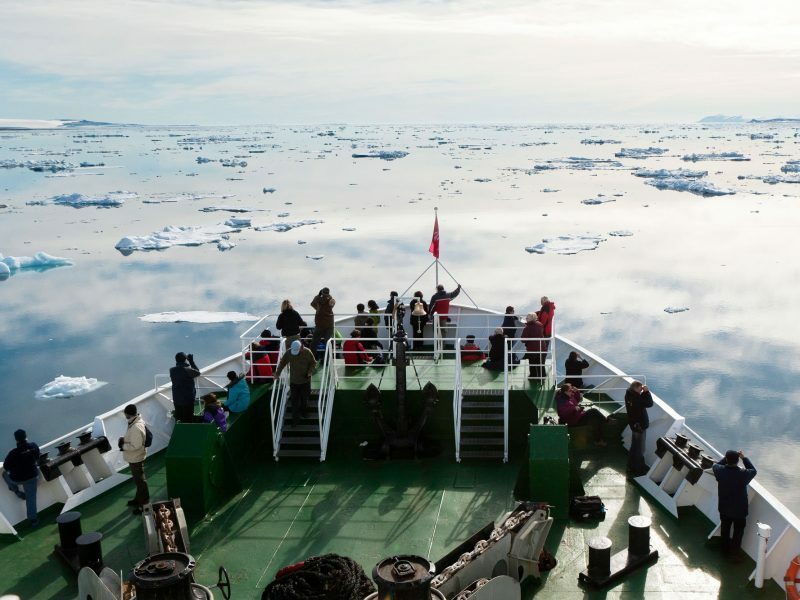 Our team of polar specialists can talk you through the various options but there is something to suit every taste and budget, from ‘no frills’ expedition ships to more luxurious vessels complete with Jacuzzi and spacious suites. Some ships also offer optional activities such as kayaking, paddle-boarding and overnight camping. 4. Is the itinerary fixed? Every itinerary is intended as a guideline only, with sea, ice and weather conditions dictating each day’s activities. Flexibility is key, but our experienced Expedition Teams are used to the ever-changing nature of polar travel and always have a Plan B or even Plan C up their sleeves. The Expedition Team is made up of polar experts such as historians, ornithologists, geologists and marine biologists and are always on hand to share their knowledge and passion, answering questions and making sure that you get the most out of your voyage. 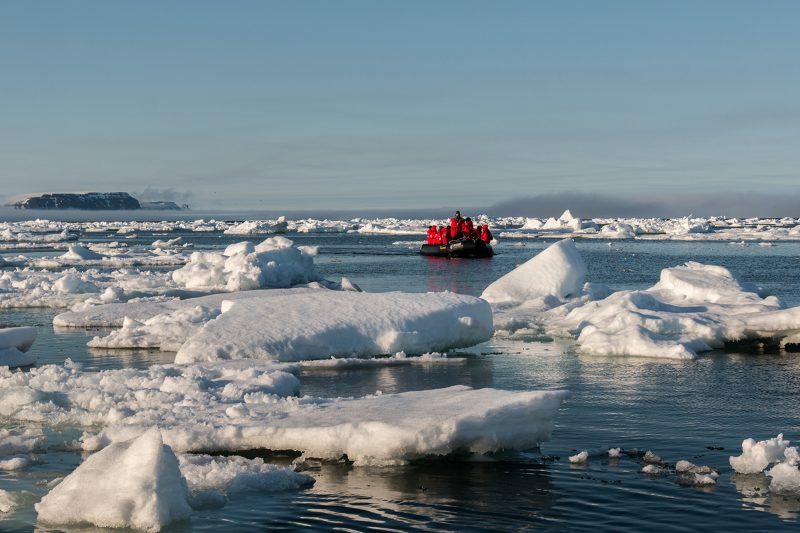 Along the way you can enjoy informative presentations and lectures, wildlife viewing from the deck and regular shore landings and iceberg cruises by Zodiac (rigid inflatable boats). Soak up the scenery on deck, browse through the ship’s library, chat with your fellow-passengers in the lounge bar or join the captain on the bridge. Find out more about expedition voyages, including information about daily routines, meals and what to wear. Our expedition voyages include all meals, guide services, Zodiac cruises and shore landings; some trips will also provide clothing, activities and even domestic flights. Inclusions vary depending on specific departure or ship – our polar specialists will be happy to talk you through your preferred options and provide a detailed holiday quote listing all applicable inclusions and exclusions. International flights are quoted separately; this way we ensure we can offer the best available fares, routes and airlines for your own specific holiday requirements. We can also arrange accommodation or holiday extensions before or after your voyage. 6. Do I need to be fit? Our ships all carry onboard doctors and our guides are trained in first-aid, but a reasonable level of health and fitness is required for all our expeditions as you will be travelling in remote regions far from sophisticated medical facilities. Climbing in and out of a Zodiac requires a certain amount of agility and the terrain can be rough as there are no set trails. With limited places available on many ships, we strongly advise booking as early as possible. This way you can secure your preferred itinerary and departure date, and also take advantage of the best airfares and early booking discounts. 8. Why should I book with Discover the World? Discover the World guarantee NO fuel surcharges on all our polar holidays and offer complete holiday protection, under our unique 100% guarantee. Our team of experts can offer unbiased advice on a wide range of voyages and ships, based on a wealth of first-hand experience. In addition, Discover the World is committed to working with leading travel partners in the conservation of the polar regions. We are Associate Members of IAATO and only work with IAATO or AECO accredited voyage operators. We are also proud benefactors of the South Georgia Heritage Trust. 9. What's the next step? If you’ve decided on your preferred itinerary, date and ship then contact us for a detailed quote. If you’re still not sure how to whittle down the many options available then just give us a call on 01737 214 250, pop in for a chat or send an enquiry; our team of polar specialists are on hand to help and will be happy to help you choose the best voyage for you. The adventure starts here!